Personal GlobalTravelWallet card is the ideal way to carry your travel money with various cardholder benefits to make your trip more memorable. 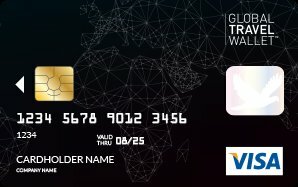 Make your money go further with the GlobalTravelWallet experience! Corporate GlobalTravelWallet is your ideal corporate card for your corporate travel with various cardholder benefits to make your trip more enjoyable. Enjoy lounge access (on selected programs) and our online concierge service. 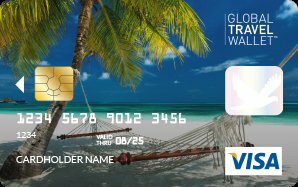 GlobalTravelWallet™ is owned by Card Programs International Limited. Card Programs International Limited is registered in the UK with Companies house registration number 9407197.